If you caught our recent article on kids and teens with pain, you know that it’s a growing problem. Maybe you’re the parent of a child dealing with frequent headaches or stomach pain (two of the most common kinds for this age group) or maybe you’re a teenager with daily pain. As a pediatric anesthesiologist and clinical director of the Pain Medicine Care Complex at the Children’s National Medical Center, in Washington, Dr. Sarah Rebstock, M.D., sees plenty of young people suffering, as well as frustrated and anxious parents who’d do anything to help. “Parents are shocked to find that there’s not one solution, shot, or procedure that can stop [their child’s pain] and that there’s ‘nothing wrong’ with their child,” she says, referring to the common lack of understanding that pain itself can be a pathology, even without a discernible underlying problem. “It’s the nervous system malfunctioning,” Rebstock says. Kids and teens in pain face some big challenges. For one, there are few centers or even physicians specializing in pediatric pain, according to Rebstock. 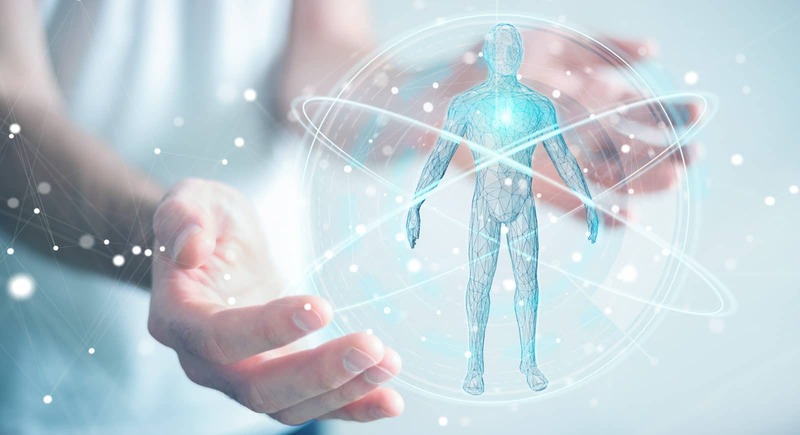 “It’s very hard to find [outside some of the larger U.S. cities], and what’s even harder to find is a center that will treat the whole patient, with a multidisciplinary approach,” she says. 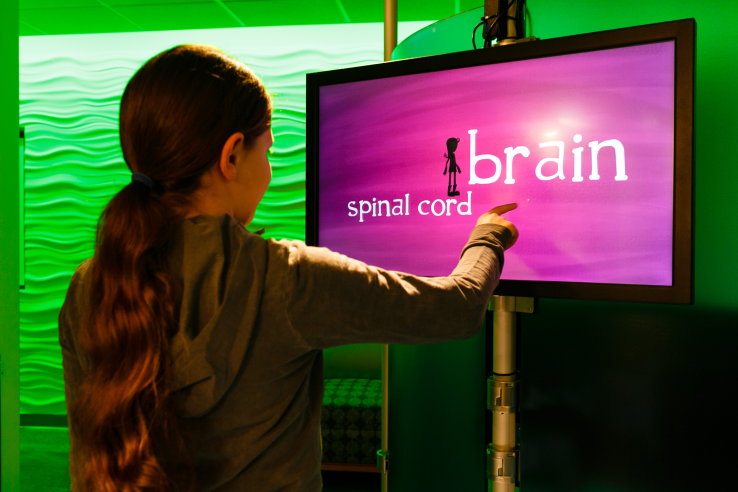 Treating kids’ bodies, minds, and emotions is something at which the Children’s National Medical Center excels and is consistently innovating. For example, one of the barriers to treating kids and adolescents can be assessing how much discomfort they’re in and what type of pain they have in other words, getting an accurate diagnosis. 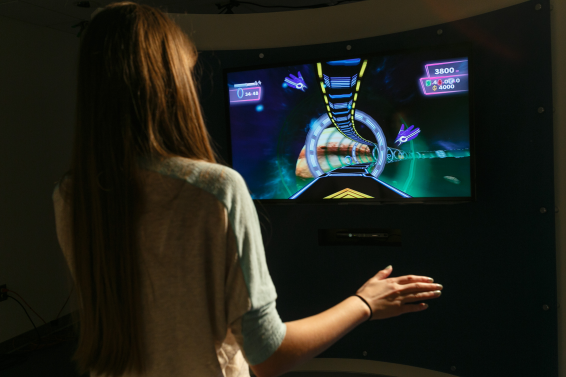 To get a better answer, the center uses several techniques, including its “multisensory room.” It includes interactive video games that employs Kinect and other technologies, along with real-time motion-tracking. While the kids play the game, move, and answer questions, the technology gathers the tracking information. “It measures your range of motion, your ability to do so many reps of something in a minute, your facial expressions,” and heart rate and skin temperature, Rebstock says. The result is powerful: “We can objectively measure pain function. And we can intervene based on that number,” she says. Even better, the multisensory approach is therapeutic. It helps target whether young patients are moving properly or if aches are hindering their ability to move, and can even add sensory enhancements, such as the smell of peppermint, which helps soothe stomach pain. The whole experience taps into the brain’s neuroplasticity, says Rebstock. The center also uses a “pod bed” from Alberto Frias, who designed the furniture in the film Men in Black III.